Buyers assume responsibity to comply with Local use requirements. 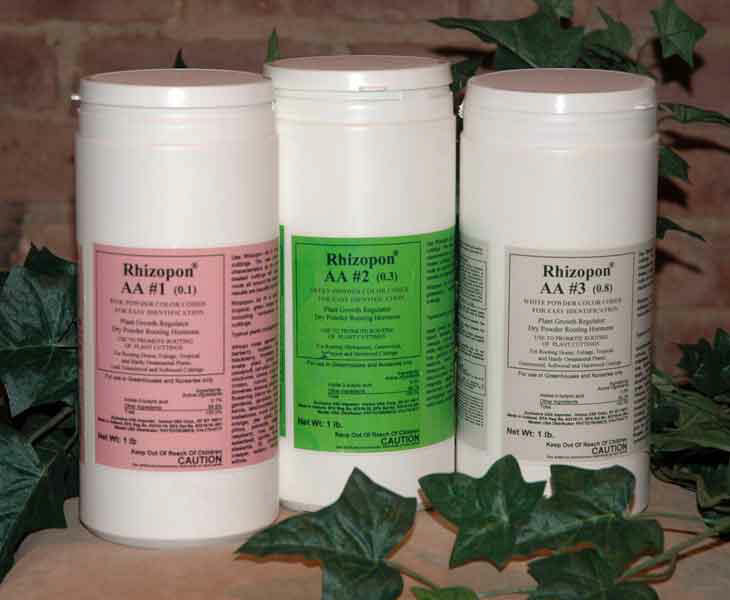 Rhizopon AA dry powder rooting hormones are ready to use in three concentrations. Take plant cuttings, usually stem, root or leaf cuttings. Woody cuttings are usually wounded by making a 3/4" notch at the basal end. Herbaceous cuttings are not wounded. 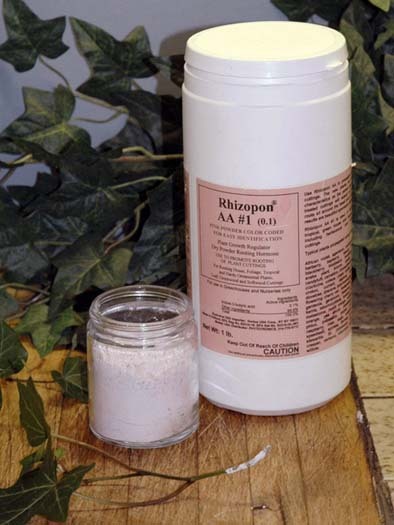 From the stock container of Rhizopon AA dry powder take off enough powder for one time use. Make sure that the powder is evenly distributed in a thin even layer (1/32 to 1/16 inch) over the whole base of the cutting. Too much powder on the cuttings might result in excessive rooting where there is surplus powder. Do not contaminate the stock container of powder by returning the used portion to the container.